In his post earlier today Nicolas was whining wrote about the price of beer in Belgian supermarkets (the fact that he complains about the price of beer when he had never complained about actually cartelized products -such as endives- reveals a typical single-man’s pattern of consumption). Anyway, he fails to see that things could be worse. Below you can see a pic of a beer taken in India a few days ago. 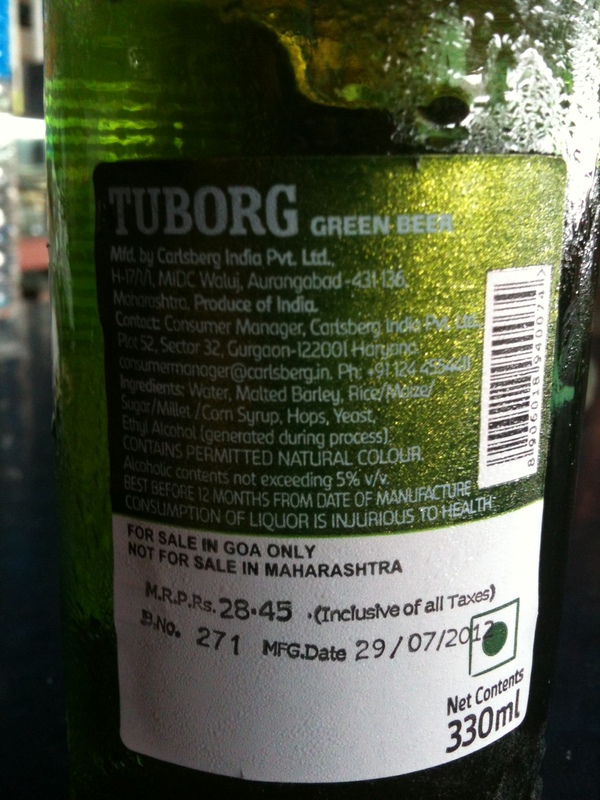 The label features (i) an “MRP” or “minimum resale price” ; and (ii) a prohibition to sell the beer in any place other than the Goa area. That’s a possible infringement combo right there! [P.S: Following the publication of this post our Indian readers have clarified that the M in MRP in reality stands for “maximum” not “minimum”, and that there is an explanation for the market partitioning clause]. Want more? 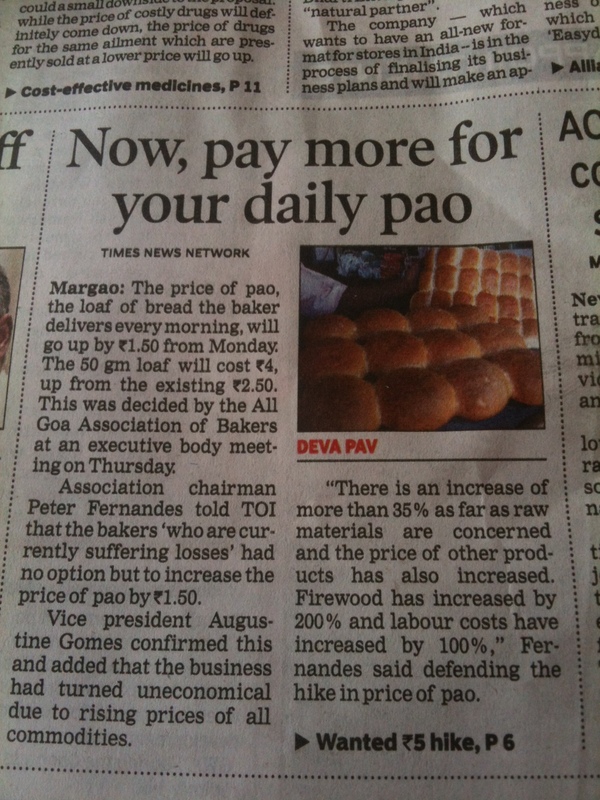 Take a close look at this news: The All Goa Association of Bakers decides to increase the price of bread. [P.S. Our Indian readers have confirmed that in this case there is no explanation other than price-fixing]. Good luck to our readers from India, who are making a great effort in fostering a culture of compliance in their country (way to go!). The CCI has earned a reputation for investigating Tacit Cartels, but apparently it won’t run out of explicit ones any time soon. The next GCLC annual conference will take place on 8 and 9 November, and will be devoted to “Competition law in times of economic crisis”. The final agenda is in the making. Marek Martyniszyn, a Senior Research Fellow at the Institute for Consumer Antitrust Studies (Loyola University Chicago) has posted online an interesting book review of the liber amicorum in honour of Professor Jacques Bourgeois. A year and a half ago we anticipated that there was a rumor that the European Commission was thinking about attempting to prove a cartel by resorting to indirect economic evidence instead of to “smoking-gun” sort of evidence. See here. We said back then that economic analysis may be very useful for the purpose of identifying cartels, but that it may not be sufficient to prove their existence. A few developments have taken place since we wrote that post. To mention only three: (i) the case -concerning cement producers- was indeed formally opened; (ii) I became involved on it as one of the lawyers for one of the investigated companies, which is why I’ve never referred to it again on this blog; and (iii) a number of affected companies -including our client- appealed the Commission’s decision requesting the said companies to dig their own grave provide the millions of data necessary to cook the economic evidence. We won’t talk about this ongoing investigation nor about the pending Court cases. What we want to bring to your attention is that the Competition Commission of India (CCI) has already made a very similar move by sanctioning (with $ 1.26 billion) 11 cement producers for an alleged cartel on the basis of circumstantial economic evidence. See the press release here. The CCI’s case is built on the observation of price paralellism, increases in price following certain meetings, low levels of capacity utilization, dispatch paralellism and the earning of super-normal profits. 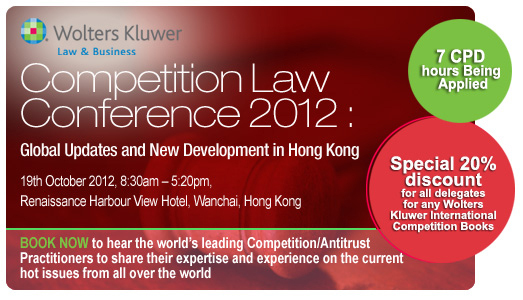 As I told my new Korean friends last Tuesday, competition law is becoming a discipline with no center. It’s therefore safe to guess that we will be seeing many additional test-cases initiated in jurisdictions other than the US and the EU. A member of the Board of the Spanish Competition Authority said a few weeks ago that the institution is on the verge of a dismantling process. The statement was made in relation to a draft law that aims at merging the competition authority with sector regulators in order to create synergies, avoid inconsistencies and save some money (the latter being, of course, the current overarching principle of all Spanish policies). Although I could see some usefulness in discussing some of the proposed changes, most Spanish practitioners, the members of the CNC, and the current sector regulators are not big fans of the current hastily drafted draft Law. We personally tend to share some concerns with regard to the current version of the project. I have not always agreed with the CNC’s way of doing some things, but disagreeing with them is part of my job. Overall, however, the CNC has done a good job, and it has certainly increased the public awareness about competition law in Spain to unprecedented levels. Attempting to save some pennies by reshuffling an efficient (and “profitable”) organization may not be a smart move. At the political level there’s the question of whether this reform should be one of the countries’ priorities right now. From a strictly legal point of view, blurring the frontiers between the applicable standards, attitudes and instruments used in competition enforcement (a sanctioning system with criminal features) and those characterizing sector regulation can be -if not well thought out- very problematic. We’ll develop our views in a few days (consider this as an appetizer); for now, it suffices to observe that the uncertainty brought by the prospect of immediate changes (which are also reportedly aimed at expected to affect the members of the Board) is significantly affecting enforcement. Whereas in the past we branded the CNC as “overzealous“, the tide has now turned and the Spanish watchdog seems to be on a sleeping mode waiting mood. (yes, we like complaining no matter what). The latest investigation concerns bullfighters. No kidding: see here. As if I hadn’t heard enough clichés about Spain over the past few weeks! The investigation by the National Development and Reform Commission (NDRC) into the practices of China Telecom and China Unicom had a significant impact inChina. It was one of these cases that people outside the antitrust community actually notice. The reasons for the high-profile nature of the case may be manifold. For one, most consumers in China will have been a customer of one of the two, in one way or another. Two, the fact that an NDRC official talked to the press while the investigation was ongoing and said that the fine could amount to 1 to 10% of the companies’ annual turnover might have contributed to drawing attention to the case. But, three, perhaps most significantly, the media’s focus on this case may stem from the fact that China Telecom and China Unicom are state-owned enterprises (SOEs), and very powerful ones at that. Therefore, it is possible that the main reason for their interest in the case is the surprise, or even disbelief, that someone like NDRC’s antitrust officials would dare take on the two SOEs. Hence, perhaps the most fundamental underlying question in the China Telecom and China Unicom case is whether and to what extent the Anti-Monopoly Law (AML) applies to SOEs – in law and in practice. For the international audience, the answer to this question is important: if the AML were in practice not to apply to SOEs, then the targets of the agencies would be private Chinese companies and foreign companies. For the former, many of them are young companies, which generally do not enjoy much support by the State. So their market position inChina’s “transitional” economy may not be too prominent, as a general rule. Which would leave …foreign companies as enforcement targets. The fear that the AML would be used as a weapon against foreign companies was there from the very beginning of its enforcement. So let’s take a good look to check whether or not this fear was justified. Las Siete Partidas, passed by Alfonso X, El Sabio (1265) [Alfonso “The Wise”]. Title 7 within Law 2 of the Fifth Partida, entitled “Of the shortages and bids that merchants create between themselves through oats and guilds” was the legal provision prohibiting traders from engaging in price-fixing and output restriction. The Code was elaborated in Spain (Castile), but it was in force in Latin America until the modern codification movement (1822–1916). Until the beginning of the 19th century, they were even in effect in the parts of the United States, such as Louisiana, California or Nevada, that had previously belonged to the Spanish empire and used civil law. Furthermore, they served as the legal foundation for the formation of the governing juntas that were established in both Spain and Spanish America after the imprisonment of King Fernando VII during the Peninsular War. 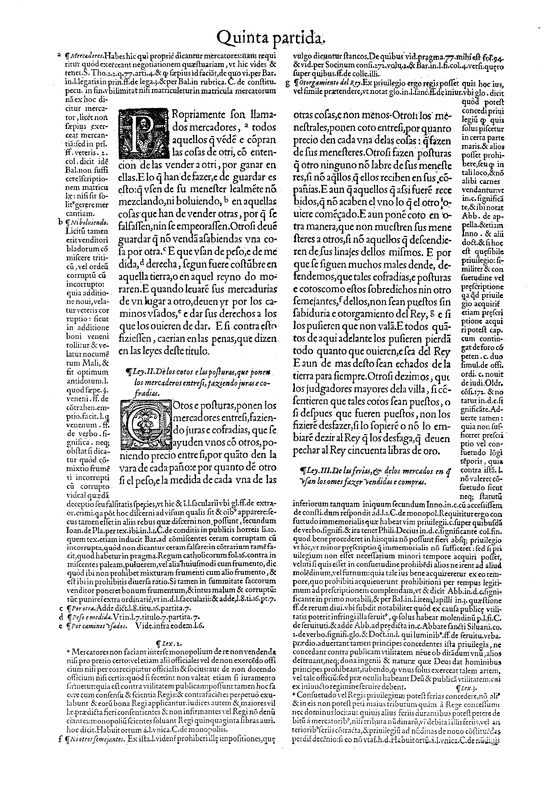 Below you will find a scanned version of the relevant part by courtesy of José Luis Buendía. P.S. Could someone please edit wikipedia´s entry for History of Competition Law?